Our next training begins February 2019! Sign up HERE for one of our FREE Informational Talks. Has yoga made a difference in your life? Would you like to share the gifts you have received from your practice with others? Or are you drawn to simply go deeper into cultivating presence and awareness in all that you do? Roots to Wings is proud to offer the Pranotthan School of Yoga's comprehensive, inspired and transformational teacher training founded by Devarshi Steven Hartman and led by Jovinna Chan and supported by our own senior teachers and guest faculty. A passage of self-awakening in the fundamentals of yoga, this program is designed to deepen and clarify your experience and knowledge of yoga while you train to become a confident, skillful and compassionate teacher. Immerse yourself fully in the yogic tools of asana, pranayama and meditation. In this training you learn how to bring awareness to movement and breath in a way that is right for your body, your limitations, your strengths, your age – in other words, you discover the yoga that is right for you. Learn how to bring the experience, depth, and benefits of yoga to your students in an inspiring, creative, safe format. The amazing Jovinna Chan will lead this training. Jovinna has been a teacher to many of our Kripalu lineage teachers and yoga friends including Katherine Perrin, Carol Gamble, and Mike Houlihan. 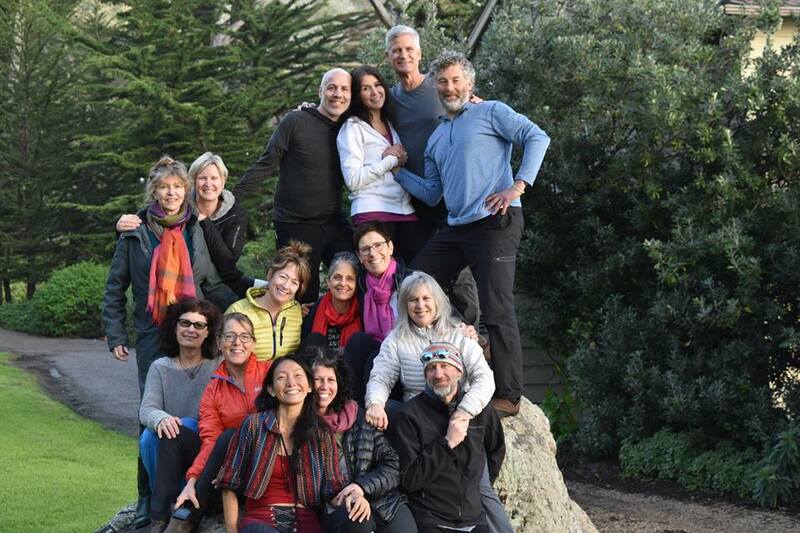 Jovinna co-directed the year long immersion Mike recently did at Esalen and Won Dharma Center. Select weeks will welcome other Roots to Wings faculty and guest teachers. Study directly with the teachers who teach us! Our vision for Roots to Wings is personal transformation through sustained self-inquiry. The people that we are bringing in to lead this training have been pillars of our personal transformative practices over many years. We've laughed with them, we've cried with them, we've been mad at them, and we've been in awe with them, and have experienced our truest selves in ways we never thought possible. They were the deans of the yoga teacher training progam at Kripalu when we completed our training there. When we thought about offering a yoga teacher training we wanted to be absolutely sure we could offer the very best training, most transformational training available and have been very fortunate that our life paths have led us to deep relationships with Jovinna Chan and Devarshi Steven Hartman. The curriculum of this program is so much more than getting certified to teach yoga. It is a way to come into a deeper understanding of life's curriculum and our work in it. This 5 month training runs through Winter and Spring and takes place over 6 required weekend intensives. Complete attendance at all weekend modules is mandatory, and all requirements must be fulfilled for certification. This training offers you a place in a rich and meaningful community that provides a safe and sacred place to learn, grow and to be witnessed and supported. You'll become a member of a well established yoga community that will be with you for the rest of your life. This program is designed to deepen all facets of your relationship with yoga and the world around you. You will be encouraged to cultivate an embodied sense of self and purpose through the practice of living your yoga in all ways, body mind and spirit. We put emphasis on how to embody the teacher, so you’ll walk away with a heightened ability to be the most dynamic, energetic, informed and inspired teacher that you can be. This program is appropriate for practitioners of any yoga tradition. A minimum of 6 months’ yoga experience is recommended. Applicants must submit an application. To register, send your application + $500 deposit to yoga@rootstowings.com. Students are required to purchase select reading materials and yoga props. Note: The first training segment is a week long intensive which runs Sunday 10am-7pm, Monday-Tuesday 8am-9pm, Wednesday 8am-7pm, Thursday-Friday 8am-9pm, and Saturday 8am-7pm.